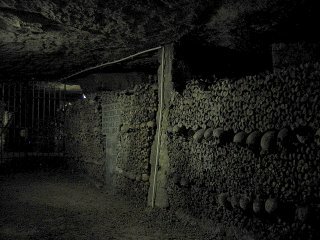 In the catacombs of Paris, between 6 to 7 million Parisiens are laid to rest. Better said, they are stacked. And, for just under 3 Euros, you can take a 1.7 kilometer walk through and have a look.